Create a template is as simple as creating a form. But if you need to create several similar or identical forms, first create a template, then you can create the forms you need with a few clicks. To access the Template Manager, go to Form Manager, then click the drop-down menu located on the right side of the “Create Form” button. Finally, click in More templates. Click the Actions button on the chosen template. Form Builder opens and the template will be displayed in the preview. 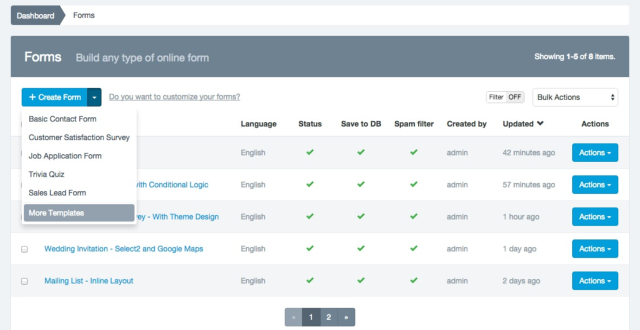 The Form Builder will open, but this time will create a template. Add the fields and make the changes you need. 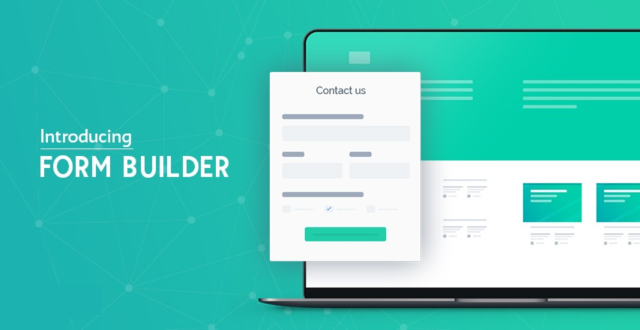 The Form Builder will open, but this time to edit the template. 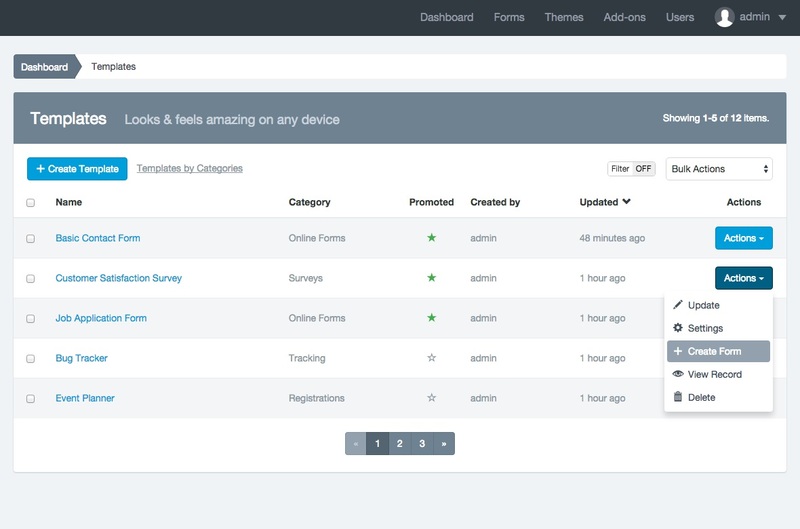 Promoting a template allows you to create a form without having to go to the Template Manager. You will be able to do it directly from the dropdown menu at the right of the Create Form button. 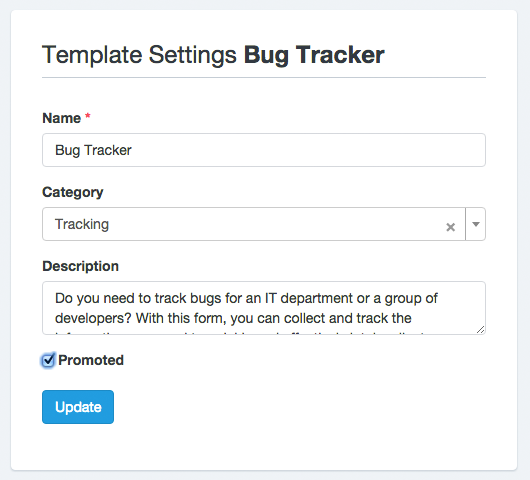 Note: By default, the promoted Templates drop-down menu displays the last 5 updated templates. Click on the Actions button of the template in which you are adding category. A popup window will appear asking to confirm your delete template decision. The Template Manager will reload and the Template will be deleted. 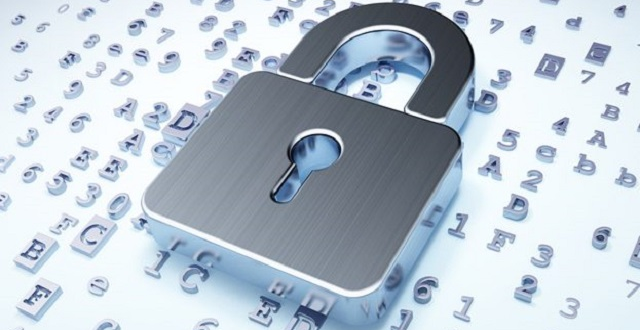 Note: When you delete a template, all data related to it will be deleted too. This action cannot be undone. 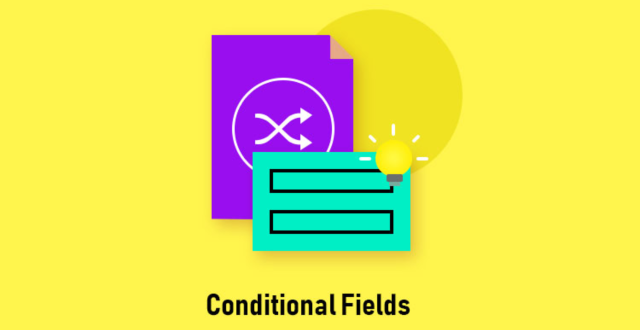 Copyright 2019 DocupletionForms. All rights reserved. Powered by WordPress. Theme: Suffice by ThemeGrill.